Kepler-186f resides in the Kepler-186 system, about 500 light-years from Earth in the northern constellation of Cygnus (the Swan). The system is also home to four companion planets, which orbit a star half the size and mass of our Sun. The star is classified as an M dwarf, or red dwarf, a class of stars that makes up 70 percent of the stars in the Milky Way galaxy. 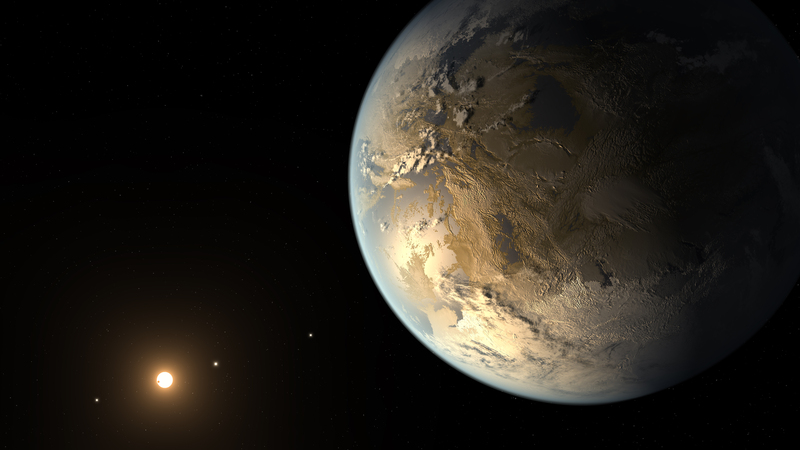 The next steps in the search for distant life include looking for true Earth-twins — Earth-sized planets orbiting within the habitable zone of a Sun-like star — and measuring the their chemical compositions. The Kepler Space Telescope, which simultaneously and continuously measured the brightness of more than 150,000 stars, is NASA’s first mission capable of detecting Earth-size planets around stars like our Sun.